Ubisoft has announced that its Uplay PC client software is dropping support for Windows Vista. 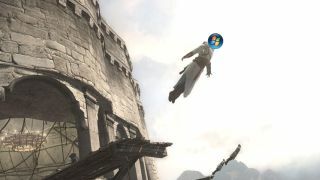 While Uplay, which in many ways is Ubisoft’s answer to Steam, isn’t particularly popular amongst PC gamers, the announcement should prompt players who still use Windows Vista to consider upgrading to Windows 10, as it will mean that the Uplay software will no longer be updated with bug fixes and security updates. Games you’ve already bought using Uplay will still work, and someone who works on the Uplay code contacted us to let us know that while the Uplay client will no longer receive updates, games will continue to be patched and updated. The announcement that Uplay no longer supports Windows Vista was made on the Uplay support site, where Ubisoft explained why. With Microsoft also ending official support for Windows Vista, it’s inevitable that other software developers will follow suit. Windows Vista will continue to work, but there will be no security updates and fixes, which means any PC running Windows Vista could become a security risk. So, if you’re looking forward to this year’s reinvented Assassin’s Creed, or any of Ubisofts’s other popular games, this may be the push you need to upgrade.